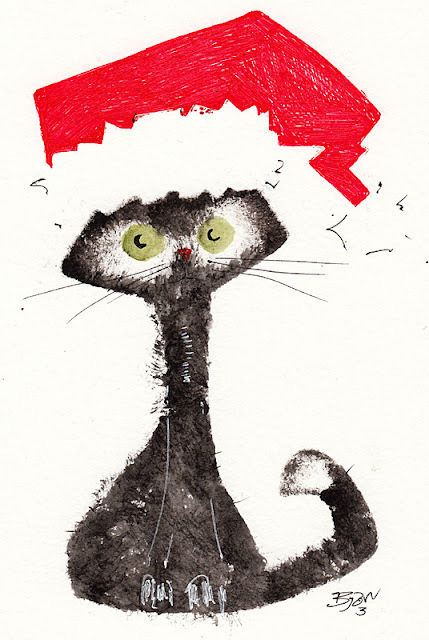 Christmas is underway and the zombie cats like this holiday ... a lot. All the food and festivities, snacks, treats, bright lights and fatty foods, over eating, sluggishly slow humans drunk on eggnog and good cheer. It all makes for easy victims meals for the zombie cats. You can own this one of a kind Byron Rempel painting by clicking here. 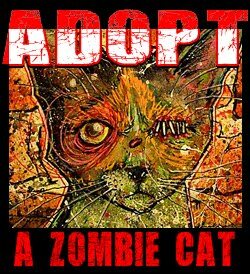 If you want really cool zombie cat products, click here to see the zombie cats on zazzle.